When I let the kids paint, I fill squeeze bottles (the kind with the twisty lids that are made to hold glue work best)with the liquid and they can refill their palettes themselves. The students always ask me how I make the paint and they are amazed about the markers. I've also found that the other teachers at my school are happy to give me boxes of used up markers that they haven't thrown away. I guess holding on to supplies so they can be recycled is another part of the teacher personality. Once or twice a year I'll email everyone and say, "You know that tub of markers that barely work that has been taking up space in your cabinets? I'll be glad to take it off your hands!" I always get pounds and pounds of them. One thing to be aware of is that the paint in the bigger bottles can get a little smelly every once in a while, just like tempera paint. I usually fix that problem by squirting a significant amount of Germ-x into the paint, and shaking it up. Maybe that isn't the best way but it works for me. In my opinion, this is a minor problem considering that this stuff is free, easy to obtain, and the resulting paintings are beautiful. The projects you could do with liquid watercolors are infinite. LOVE this!! I just shared a link to your post with my facebook fans. Am going to start saving those dried out markers!! I wish I had known about this while I was still in the classroom. Thanks so much for sharing. I agree about saving the tops, too. Besides using them in the block area, they are great for sequencing, patterning, and matching games, board game pieces, and collage materials. You can also make colored glue from the old markers. Pop off the bottom, pull out the inside column and put it in a bottle of white glue. It takes a couple of days, sometimes a week, to color the glue, but it's fun to do at school and let the kids watch the color seep into the glue. Brilliant! My kids will love this! I bet that if you used distilled water, it would solve the smelly problem. I use old scraps of crepe paper and soak them in water. Probably works the same. 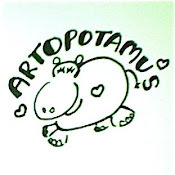 Hi :-) I am an art teacher as well and I just ran across your awesome blog. Two tips to pass on - You can also make colored glue by putting the ink reservoir into a bottle of glue. Also, you didn't mention the type of palettes you used, I made palettes for the liquid watercolors by sinking 3oz plastic cups into a pie pan with plaster of paris. Double-up the cups so that you can remove the paint one color at a time. Students can also blot their brush on the plaster to save on paper towels. While it was a bit of a time/material investment up front, they worked great and lasted at least 4 years (I have since switched grade levels, so I am not sure if the current teacher still uses them). (1) Open the back of the pens and add a few drops of water. They can be used again for a while. (2) Open the back of the pens and add a few drops of ordinary household bleach. 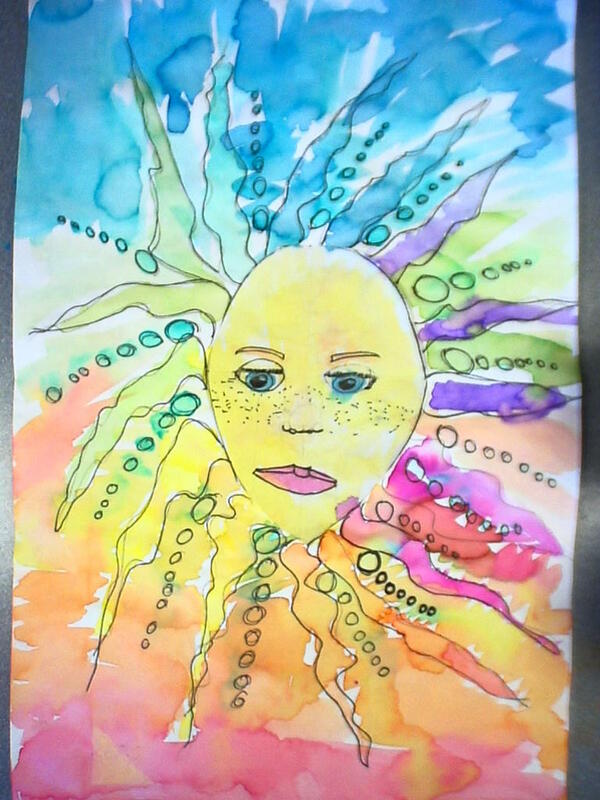 Use a waterwash to pre-colour paper and then encourage children to draw on this with the "bleach pens". Where they draw the colour disappears. (same idea as drawing with bleach dipped in Q-tips). Great tip! I will be saving my markers from now on. Thanks for sharing. i tried this today and did something a lil diffrent....an empty cup take apart marker take out the color sponge piece slowly run water through the tip(this gives you pure color that it trapped in the tip)..then once its white take and put the spongy piece it it and if you want put on rubber gloves and squeeze the spongy tube also helps clean it out!!! and i only needed one marker and my color was strong!!! artist trick for alcohol ink: soak your markers as you say. Put into spray bottles. fill up with isopropyl alcohol. Voila. Spray inks! When dry, the inks can be re-activated with a light spritz of water. You can seal with hairspray. Instead of using GermX maybe using GSE (grapefruit seed extract) to use as an alternative natural preservative. Just a couple of drops should do.